When we arrived in Paris, we adjusted to the 9 hour time change by touring the city. The metro system is wonderful, but when you haven’t been in the city for years, it’s hard to figure out where to buy metro tickets, regional train tickets and high speed tickets. It’s nice to know you can start with an English speaking teller at the Charles de Gaulle airport who will help you make choices. We took the RER B to Gare Du Nord and the #5 to our hotel at the Mercure Place d’Italie,. Then we rode the #7 metro downtown to wander past Notre Dame, the Italian Quarter and the Louvre. This helped us adjust to the time change, so we’d be ready for our Versailles Tour. 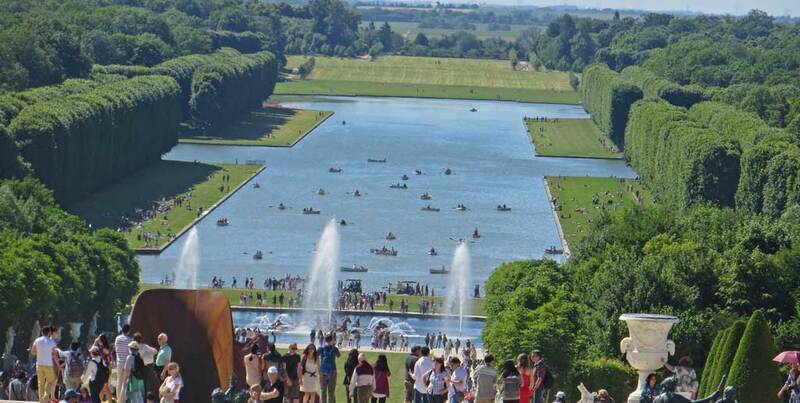 The next day, we went to Versailles. The Palace is about a half hour from downtown and is one of the best known settings in the world. 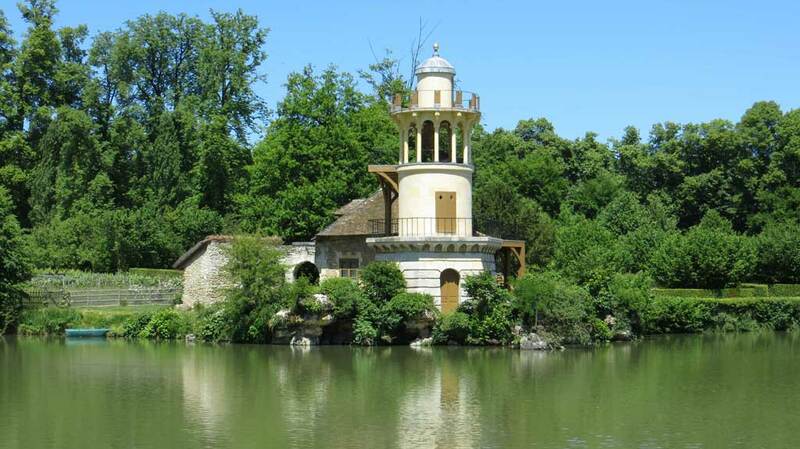 It was the residence of the royal family of France, such as Louis XIV, Louis XVI and Marie Antoinette. We booked a Blue Bike Tour online in advance for this. The online purchase included the train tickets from Versailles to Paris and back. The tour started at Gare Saint-Lazare at 9 am. The only downside to booking a tour like this is that you pay in full in advance. If it’s raining, there are no refunds. Luckily on this day there was nothing but bright, warm sunshine. There were about 20 of us in the group and most members were in their 20s. The biking was level and easy for the older people, like me. The guide at the station was a teenager who spoke excellent English. She escorted us on the train ride, which took about 45 minutes. In Versailles, she took us to the market to buy our lunch and then to the Blue Bike storage for our bikes. The bikes had side saddles to hold the lunches. The grounds at Versailles cover 2,000 acres. Biking was a pleasant way to see them. We stopped for lunch at the far end of the Grand Canal. After lunch we visited the Estate of Marie Antoinette, including the Grand Trianon, the Petit Trianon and the English hamlet. The hamlet was built specifically Marie Antoinette’s amusement. It never had any inhabitants. Near the end of the day, we made our way to the Palace. It was a crazy mass of tourists. The guide left us at this point and we toured the rooms. The only area that impressed me was the Hall of Mirrors. Our guide said when she was young, her father would bring her to the palace at opening. They would then race to the Hall of Mirrors, so they could experience this special room by themselves. When it was built, the manufacture of mirrors had just been invented, so it was even more amazing at that time. There are over 700 rooms in the Palace. The ones on display were full of stuffy old furniture, sculptures and over-sized renaissance paintings that would impress many, but not me. Particularly strange was the sitting room around the King’s bed. The King’s privileged guests were allowed to watch him wake up. Guests would watch him being attended to and served breakfast. We skipped the gardens, which charge a fee during the day, but are free in the evening. After visiting the Palace, we walked back to the train station and used the ticket provided by the tour. 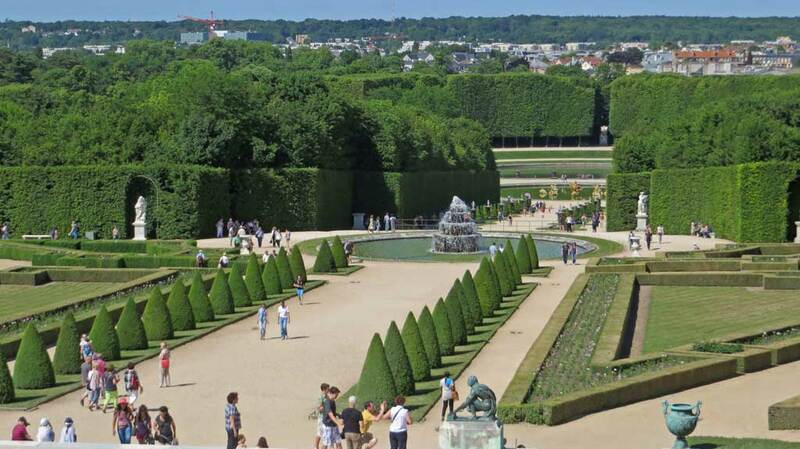 For me, biking Versailles was the perfect way to go, as I enjoyed the grounds much more than the palace.